One ride and you’ll understand why most rocket scientists are German. Back in December of 2012 Malte Dorowski added to his fine stable of Porsche models with this Japanese tuned RWB 964. I’m speechless. 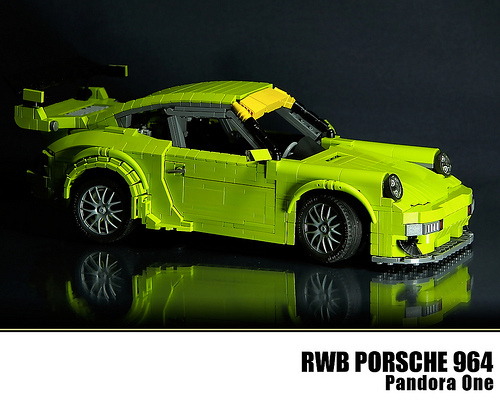 This has to be the most beautiful LEGO cars I’ve ever seen. Absolutely captures the look and feel of a Porsche.